The above is a photo of our espada ropera hilt. 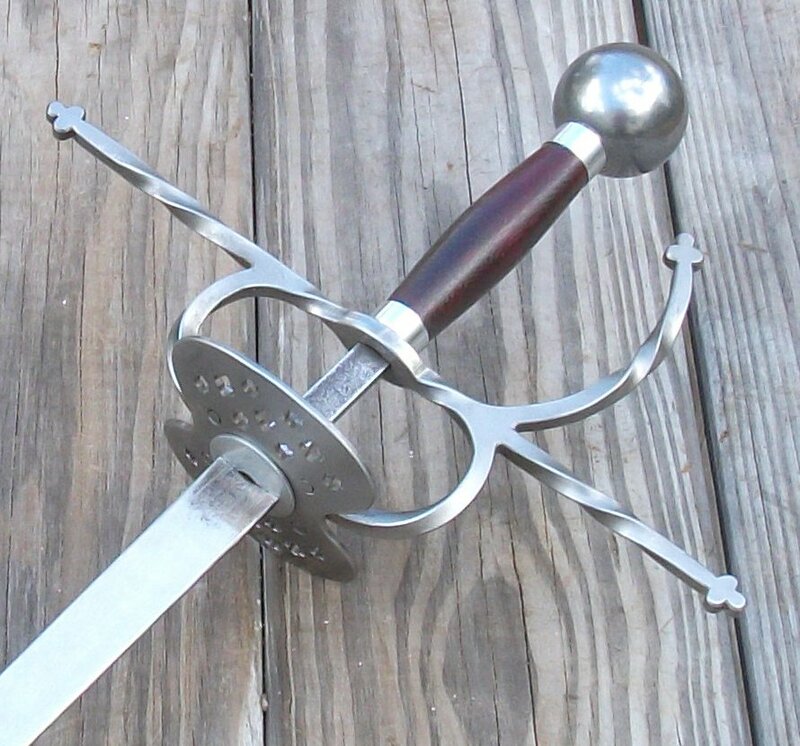 Espada roperas developed in Spain during last half of the 15th century and were the original rapiers, less complex than the later swept hilts.. Our hilt consists of an 11 3/4 inch long cross guard, with two arms joined by a perforated dished plate. We'll mount a pommel of the appropriate weight for the blade length specified. Please note: If not specified, the default is gray, Pappenheimer, 36 inches.